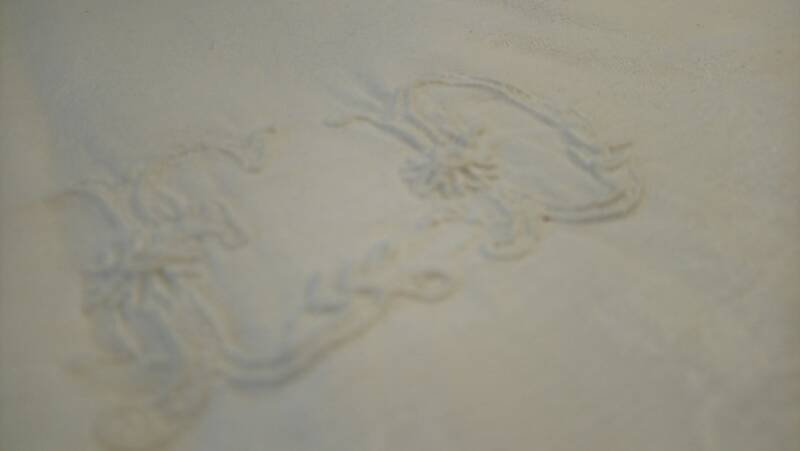 An original antique fine damask embroidered and monogrammed tablecloth from France. The monogram is ED. 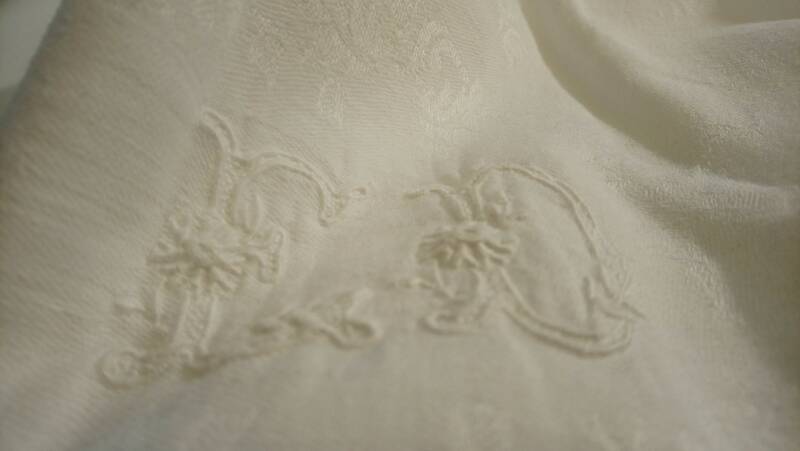 The cloth is in good condition, beautifully laundered but with a few signs of previous usage. 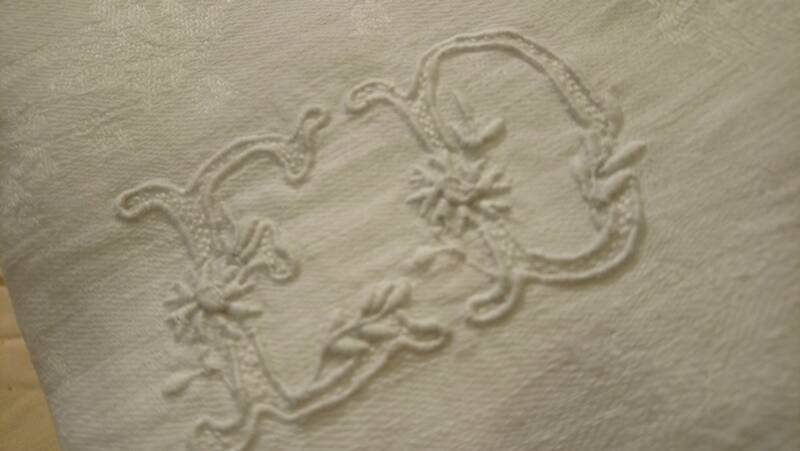 We have two sets of matching napkins available, listed separately.